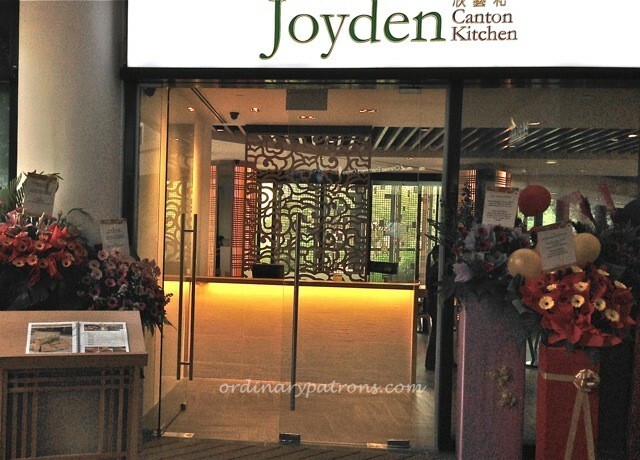 Located at the end of the retail block of HillV2, Joyden Canton Kitchen is the farthest restaurant when you emerge from car park lift. It is one of the last restaurants to open in the new shopping mall in Hillview. It would appear that the Far East retail management have done well to put together a good F&B tenant mix of a variety of restaurants within the limitations of this smallish shopping mall. So far we have seen local, Indian, Japanese, Italian, German and other types of Western cuisines represented at the mall. Joyden as the Chinese restaurant would be the second last piece of the puzzle. A Korean restaurant (Blue Garden BBQ) will be the last (for the time being it seems). 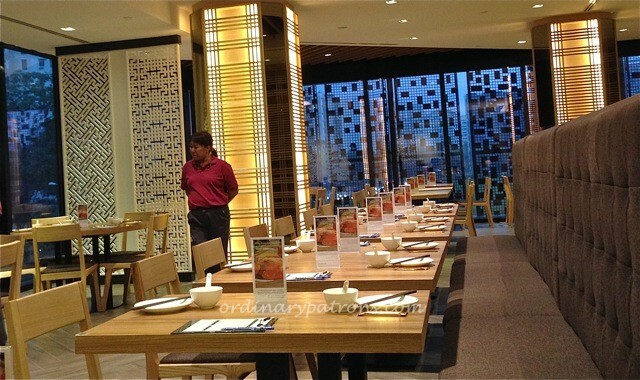 The restaurant occupies a long rectangular space and is very spacious and bright. Being a corner unit, the floor to ceiling windows on two sides let in a lot of natural light. A long stretch of bench seating with small tables that cater to small groups takes centre stage. Larger round tables, suitable for big groups are laid out along the glass windows. There is quite a number of service staff in the restaurant. Any arrival of guests is greeted by enthusiastic shouts of welcome, reminiscent of Japanese restaurants. The menu has a wide range of choices and contains nice glossy images for ease of reference. We selected three dishes to go with steamed rice. The grouper fillet on tofu steamed with black bean sauce ($16.80) was well made. 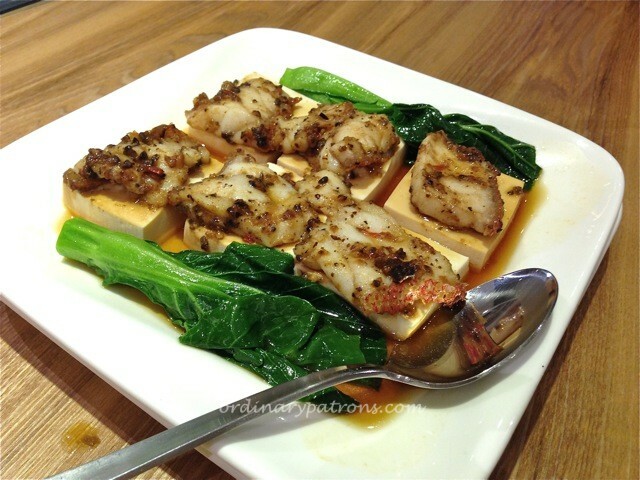 We enjoyed the balanced seasoning and the good mix of textures of the fish, bean curd and crunchy vegetables. 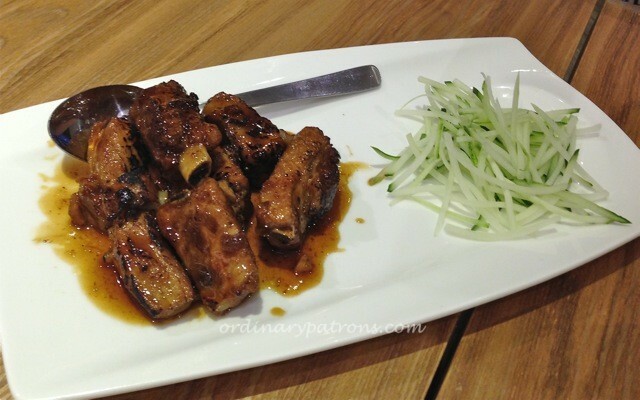 The remaining dishes were the pork ribs ($16.80) and kai lan ($13.80). These are common Chinese restaurant items and it would have been easy for these dishes to be created competently and yet be forgettable. However, we were pleasantly surprised by the complex flavours of the dishes. The ribs were well fried and sauce was not too sweet with a taste of coffee in it. 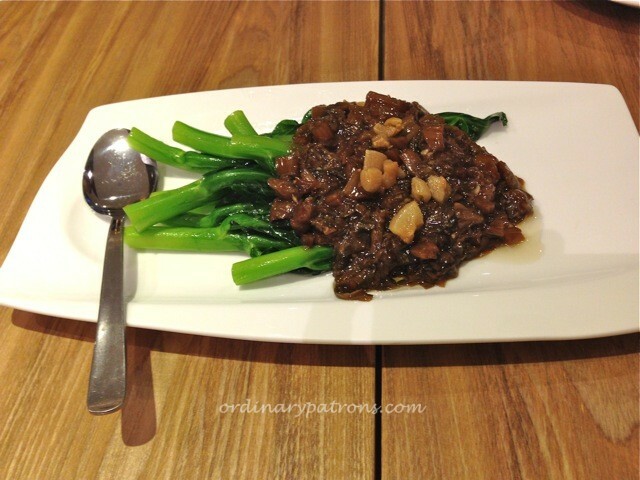 The smothering of the kai lan with some preserved vegetables added an unexpected dimension to the taste. The preserved vegetables were not too salty and could be eaten by themselves. In fact, they would be ideal companions with plain steamed rice or even porridge. 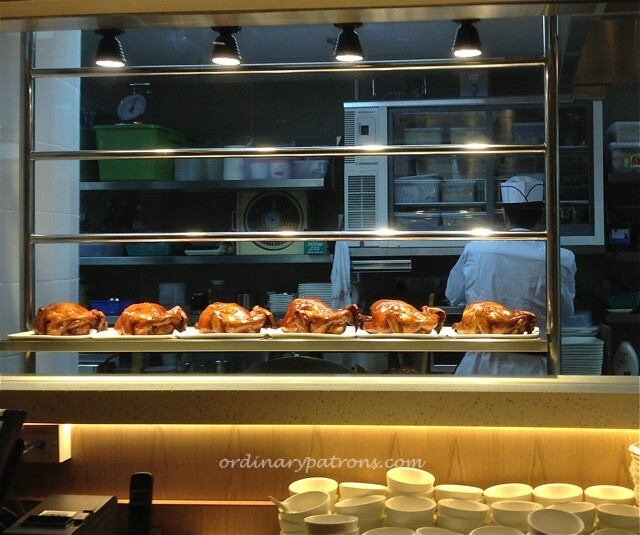 We came into Joyden Canton Kitchen with no expectations and left with a very good impression. We would certainly return. We are sure that residents of the Hillview region will welcome this Chinese dining option to the neighbourhood. By the way, to celebrate their opening, they are offering a 15% discount from their menu prices. We are not sure how long this will last so there is no better time to go than now!